One of the biggest problems that doctors have faced since the dawn of medicine has been “patient compliance” – encouraging patients to follow through with courses of treatment, medicine, physical therapy, and lifestyle change that the healthcare provider (and often the patients themselves) believe important for improving health. We humans are lazy creatures of pattern and habit, and aren’t terribly good at changing ourselves even when we know we should. However, new fields of research have arisen that focus on preventative health and better understanding human psychology for the purposes of encouraging healthier lifestyles, health change, and and long-term medical compliance. These theories are bringing new insights and ideas for inspiring people to remain dedicated to lasting change in the face of challenges and human nature. 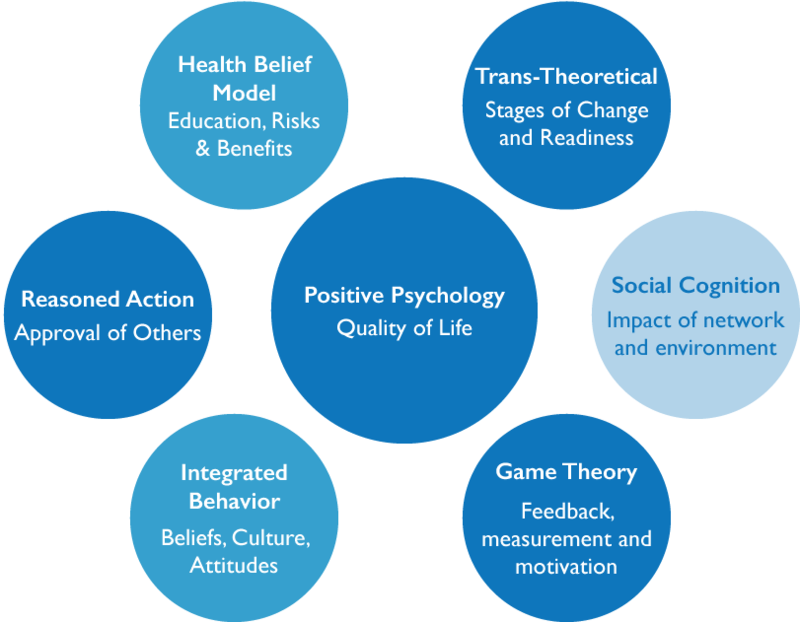 With apologies for the very superficial and overly simplified treatment I am going to give them, some of the intervention and motivation theories/models that I have found to both relevant and promising include (understanding the shortcomings of) Health Belief Model, Trans-Theoretical Model, Reasoned Action Model, Integrated Behavior Model, Social Cognition Model, Game Theory, and Positive Psychology. I see an interesting parallel between martial arts and preventative medicine, and like medicine, one of the biggest problems facing martial arts instructors is “compliance”… or, restated in a more familiar way, “student retention.” I wanted to share some of the interesting thoughts that are transforming compliance/retention from behavioral health and how they might apply to encouraging long-term student growth and retention, and see if it results in a productive discussion and useful outcomes for our greater martial art community. My readings on the Health Belief model can be summarized as the theory that if an individual can be sufficiently educated about risks, benefits, and alternatives of their medical situation, they will act objectively and make long term changes necessary to achieve health goals. The key components here are the emotional driver of fear and the ability of intellectual understanding to create sustainable life changes. Unfortunately neither of these elements (fear and objective intent) are very reliable long-term motivators. The instinctual, prevailing method that doctors have relied upon for inducing patient compliance has always been fear; fear of death, fear of illness, fear that what has happened will continue or get worse. A bad enough “scare” is a great short term motivator – just witness any smoker who had a suspicious node biopsied or other close call who then swears off smoking for good. My own father is a great example, as a cancer survivor he swore he was done with smoking. But it didn’t stick, old patterns and addictions slowly reasserted themselves as the imminence of the cancer danger faded. Similarly, we all know doctors who don’t practice the medicine they preach. While doctors continue to rely on “scare them straight” tactics to influence patients, it is a flawed tool. Similarly, many students join a dojo based on fear. Sure, some examples are obvious, such as when students express being motivated by a need for self defense or that they recently experienced an episode of violence that left them feeling in danger and unprepared. However, fear also motivates in the form of insecurity (self-image issues, impacts of toxic masculinity culture, a feeling of powerlessness). These things might get a student in the dojo and started, but like a cancer scare I believe this form of motivation often doesn’t last. The second paradigm looks at social approval (or disapproval) – the positive and negative feedback a person receives from their actions. It is hard to stick to a course of action when your friends, family, and peers disapprove of what you are doing, and conversely motivation is much easier when your efforts meet the approbation of people you care about. This is one reason why support group-based systems like Alcoholics Anonymous, Weight Watchers, and even CrossFit have enjoyed so much growth – by surrounding a person with people that are going to give encouragement for activities that comply with the “program” and a way to build self-esteem and self-respect for dedication, these programs fight the trend toward diminishing motivation over time. Disapproval can also have a strong influence on motivation; I remember when I was young, my mother’s daily exercise regimen was viewed as selfish and wasteful by members of our farming/ ranching community, and it must have made every workout a little harder. In martial arts, the network factor is huge; our families don’t generally understand what we are doing or why we are doing it. They may put pejorative values on martial training based on their misperceptions, ideals,or religious beliefs, or a simple unwillingness to share so much of a person’s time and attention with strangers. At best, most of us can expect a benign acceptance from our non-dojo friends and family, coupled with some level of pressure to train less and concern ourselves more with fun, family, and taking it easy. In the dojo, I believe we have to work hard to build environments where peer and instructor approval is strongly and consistently applied to encourage both longevity and accomplishment. This has to take the form of earned admiration, verbal respect, encouragement, and in my experience, celebration of new attainment and proper behavior. The archetype of the harsh, critical, and demanding sensei is almost universal, and while I think it serves a purpose in setting high expectations and preventing schools where everyone gets a black belt for showing up, I think this model offers some important lessons about how negative feedback is an insufficient tool by itself, and there is value in exploring how a student’s participation in your martial arts program will be perceived, supported, or derided by their friends and family. The easiest way to understand this model is to think about support networks, and whether or not a person is “swimming against the stream” of the lifestyles of their friends and family. At the simplest and most pervasive level, each of us is surrounded by a web of shared lifestyles that makes change difficult. When I switched to a much more regimented, mostly vegetarian diet (for heart reasons), my dietary change didn’t affect just me, it affected my wife (and our collective cooking, shopping, dating behaviors) as well as my friends and students (who expected to eat and drink with me socially a certain way and at certain times). In my case, nobody disapproved of my decision to change how I eat, but they were all affected by it, and how they were used to living, eating, and interacting provided stress and pressure to revert to the way things were before; a sort of benign “inertia” or “gravity” tugging my behaviors one way or another. Imagine a morbidly obese person desperately trying to lose weight, and how much harder it would be if all their friends and family were overweight too, not interested in changing their diets, and unintentionally constantly surrounding that person with tempting foods, situations, and pressures. An almost impossible challenge! Now consider if those friends and family actively disapproved or resisted that person’s attempt to lose weight or increase fitness, perhaps because it reflected upon them in ways they didn’t like or implied a judgment of their own lifestyles. The medical community is becoming increasingly aware of the importance of involving a patients entire support network into any change program. Of course, the “support network” also factors heavily into the ability of a person to remain committed a long-term course of action; often, this is measured in how much help a person can generate for money, transportation, childcare, or other assistance necessary for managing time and resources. For all of the reasons that having a strong support network necessary to complete a lengthy and difficult course of treatment or therapy, a supportive social network is important for a martial arts student (particularly younger students). It is perhaps dangerous to assume that every student can succeed as if they were an island; to a certain extent, every student needs family and friends that help them along their martial journey with the resources required for balancing life and training. To counter this, I believe there is no substitution for building a strong dojo community and consistent schedule of dojo social activities. Students need a strong new community, that collectively can provide positive impetus toward training and extra assistance when needed. To be a community, the dojo network must have fun, help each other, travel, and undertake non-training activities outside the dojo. A subtle and under-examined influence on patient compliance and motivation is the collective body of cultural values, religious and personal beliefs, social values, popular media, education, and other attitudes a patient has, and how each patient subconsciously interprets their goals, advice, and lifestyle change activities through these filters. Eating less meat or not spending a lot of time watching spectator sports might seem vaguely “unmasculine” to some men; ideas regarding strength training may come embedded with connotation of “unfemininity” to some women. Reliance on medicine may threaten many people’s senses of independence, self reliance and pride. Admission of depression, anxiety, cognitive or memory disorders or other behavioral struggles may come burdened with social judgment, or even just perception of social judgment that may create personal mental hurdles to compliance. These (often tacit, not critically examined) internal attitudes can quickly undermine compliance toward positive change. To address this, caregivers have to become increasingly sensitive to patients’ cultures and attitudes, and must develop programs to help patients (and the people in their lives) build more healthy and constructive ideas about their situations and any recommended changes in diet, medicine, fitness, personal activities or behavior. Mostly, I think martial arts schools struggle with mainstream and media-fed ideas regarding heroism, good versus evil, personal justice, and masculinity. This is particularly true for the more spiritually and philosophically (michi) nuanced arts, versus sport/ competitive arts. To address ideas, ideals and attitudes, I believe the dojo should be a place of open discourse, There should be complete tolerance of students asking any question regarding the art, the beliefs of the teacher, or training, or even the greater societal context of history, gender and race issues, civil rights, law, and ideals of the art. Those ideals – be they just the dojo kun or extensive writings by the founder – should be represented in all aspects of life by the instructors to the extent of their abilities (the sensei must represent the ideals). There should be tolerance of mistakes and experimentation in the dojo, by both teacher and student. Ideals and values must not be just spoken rituals, but rather living, manifested, explicit topics of everyday discourse. There must be room for students to share what the art means to them, to share relevant experiences that they’ve had, to explore the values of the dojo, and to evolve and develop new ideas, attitudes, and interpretations of the what it means to train in the art. In this manner, dojo values are made relevant, personal, and meaningful. This theory is based on recognition that what is necessary is not always what is possible; at least right now. A doctor will have difficulty prescribing too dramatic of a change at once, or changes that the patient is emotionally not ready for. Poor-fitting or poorly-timed advice can be worse than no advice at all; for example, if a patient’s first effort to get in shape is a disastrous attempt at running a marathon, they may quit entirely and believe they have been given proof they cannot succeed. Giving too small of a challenge can be destructive as the patient can feel frustrated at their lack of progress, and feel tempted to quit because they can’t see ever making a difference. Awareness of this danger requires physicians to make sensitive appraisals of what each patient is ready to accomplish right now, what will give them success and motivate them to tackle the next challenge, and how to customize each patient’s long-term success with stages of mental and physical readiness. Of course, this also implies selecting a treatment and change path that is in itself appropriate to the patient. In martial arts, I think the correlation is very clear. Every student enters the dojo with a unique set of needs, attitudes, and abilities, from fitness level and hand-eye coordination to emotional maturity, enthusiasm and experience. A highly formalized, commercial, or one-size-fits all approach creates “disconnections” with each student’s ability to succeed and progress to the next level, and each disconnection generates a greater or lesser degree of demotivation. Of course, customization requires an immense amount of thought and energy (and experimentation) by the teacher, and it’s just as difficult for a martial arts sensei to customize goals and homework for sixty unique students as it is for a doctor with the same number of patients. I don’t have an answer about how to fight “attention fatigue” and cynicism by teachers (e.g. the tendency to stereotype students as worth the effort or not, or just no longer caring after years of student dropouts), other than having the teacher (e.g. myself) explore and reaffirm how every single student achieving each milestone is the entire reason we teach. There’s a lot being written about game theory right now, and a lot of different perspectives on the topic and an entire field of professionals growing from the apps/software industry. If you seek an interesting place for a non scientific introduction, I highly recommend “Reality is Broken” by Jane McGonigal. I think Game Theory (and gamification in general) has many fascinating ramifications on how we, as human beings, make choices and commitments in our lives. At its simplest, I believe Game Theory in the context of learning, compliance, and retention can be described as the science of feedback and measurement in motivation. A problem with many health interventions is that there is no easy way to measure progress. For example, there are no ways to accurately measure ischemia or plaque in one’s cardiovascular system without expensive and potentially risky invasive procedures – and even then there are no options widely available for objectively quantifying and scaling ones overall level of heart disease. So then, how does a person at risk know that their efforts are having impact on their heart health? At best, patients can measure their changes in weight, blood pressure,cholesterol, BMI, but these are only indirect and proxy measurements of what is happening inside the circulatory system, and both the blood chemistry (hemodynamics) and nervous system components that support it. When one can’t see the results of effort, demotivation quickly steps in. This problem can be even worse for poorly understood health problems or psychological health challenges – motivation and change is difficult when we can not measure success toward goals. Some level of friendly / constructive competition and comparison / cohort-building with peers. People must struggle with a burst of negative emotions, frustration, and demotivating each time they discover any of these elements is missing from their pursuit. In medicine, there is a huge explosion of apps-based tools for gamifying fitness and health (although most suffer from inability to measure anything important), and many insurance companies, healthcare networks, and self-insured employers are increasingly exploring online systems for adding game theory elements to personal health planning and maintenance. In the context of martial arts, I think most readers were spontaneously thinking of examples in their own dojos and organizations where some of those six elements were missing; favoritism, unearned ranks, confusion about rules and expectations, and frustration about perceived lack of personal progress are probably all major reasons why students quit. I saw a wonderful quote the other day – “you get what you deserve when you drive a naturally loyal person to the point where they just don’t give a crap any more.” If you believe your organization handles any of the game theory ingredients really well, I honestly want to hear from you! Over the last century, Western medicine and psychiatry has been largely defined by a “disease” model. Healthcare and health research is driven by definitions of “what is wrong with you”, and exploring ways to better understand the causes and contributors to various states of “wrongness.” This has been a very successful driving framework, and has much to improve quality of life, longevity and mortality away from the worst health aspects of human suffering. What medicine is very unsuccessful at, however, is defining, exploring, and measuring states of positive wellbeing and healthfulness, and the causes and contributors to them. Positive Psychology (and its reflection in proactive physical wellness) is a relatively new research area and paradigm that seeks to define desirable goal states like happiness, health and resilience – “what makes life worth living.” One of the greatest discoveries from this paradigm, aside from how well it resonates with what people actually want, is its ability to proactive forestall health problems, reduce costs, and improve outcomes when issues do arise. People don’t want to be just “not sick,” they want to be happy, to be strong, to be able, to be fit. Positive psychology is an important field helping us to understand, articulate, and communicate goal states as human beings, and honestly what it means to be mentally and physically healthy. In the martial arts, I think we need to examine what aspects of our dialogue and instruction are based on “disease models”, with the disease state being (hypothetical?) instances of antisocial conflict, threat, or aggression. How much time do we spend talking about avoiding conflict or beating enemies, about “winning”, about lethality or fighting, about strength or intimidation, or about manipulating enemies or gaining advantage? Instead, I think we should be thoughtful about our dojos and our arts, and what we say about meritorious action, about security and balance and resilience. We should communicate and explore how our arts contribute to lifetimes of positive, desirable, healthful, fulfilling living – conditions that make “social disease states” unlikely to begin with. In life, disease and conflict happen, but we can control how much of our attention they receive from us, and what long term goals we are seeking and sharing with others. Like patients and disease, students don’t generally want to just be uninjured or victorious in physical conflicts, they don’t want to just “not have fear;” they want to have good lives, they want to be strong and admired, they want their friends and families to feel security, hope, and happiness. I assert that martial arts can have a tremendous role in cultivating positive life conditions and personal attributes that help proactively prevent disease events (moments of danger or escalated conflict) from ever happening. Every student is unique regarding what will most motivate, or demotivate them. Implementing motivation tactics from all of the different wellness theories/models I’ve presented is probably unfeasible for any organization – there is too much to pay attention to all at once! What I hope for instead is that these models provide a lens for briefly examining our schools and organizations, and gaining some insight and perspective on what we may already be doing to drive students away or to successfully encourage them to “go the distance.” For myself, I started thinking about these topics in order to be systematic about setting goals for retention and growth, and to be thoughtful and intentional in creating tactics and measuring success toward those goals. It’s too easy to be reactive and random in our efforts to build our communities, but to gain no real insight when those efforts don’t seem to yield real results in the number of students that keep coming back. I have participated in many conversations about how it is a different world for martial law arts teachers than it was 20, 30, 40 years ago. While this may be true, I also believe that most dojos would be very optimistic about growth if they could manage even a 50% greater student retention rate. I hope that I have shared some creative viewpoints that have given you ideas, and that you will innovate in your own school with new ways of motivating your students for long-term retention – and see real success in your efforts. Please share your feedback regarding this article, your own experiences that highlight the relevance or irrelevance of the various behavioral wellness models inside the dojo, and what tactics have produced real and measurable results for building long term loyalty, motivation, and belonging among students in your school or organization. Health and Behavior: The Interplay of Biological, Behavioral, and Societal Influences, by Institute of Medicine (US) Committee on Health and Behavior: Research, Practice, and Policy (2001). Social and Behavioral Theories, by Karen Glanz, Office of Behavioral and Social Sciences Research, National Institutes of Health. The Integrated Behavior Model resonated most for me. The subconscious nature of our beliefs and assumptions, from our cultures, makes change and engagement in a dojo particularly interesting. Identifying and bringing beliefs into an introspective assessment can address their impact, but “finding” those beliefs and getting individuals to acknowledge them, that can be tricky. Thank you for the post.